Cape Town is regarded to be one of the world’s most beautiful cities. Depending on your choice of flight you will get to see the Capes most famous sights and then some, including the bustling V&A waterfront, the rugged 12 apostles, the white sandy beaches of Simon’s Town and maybe even catch a glimpse of Whales breaching and playing off the shore. South Africa's rail company Transnet announced the decision to terminate the world-famous Outeniqua Choo-Tjoe train service. According to Mboniso Sigonyela, Transnet’s External Communications Manager for Group Corporate and Public Affairs, Transnet identified the Choo-Tjoe as one of its non-core assets. 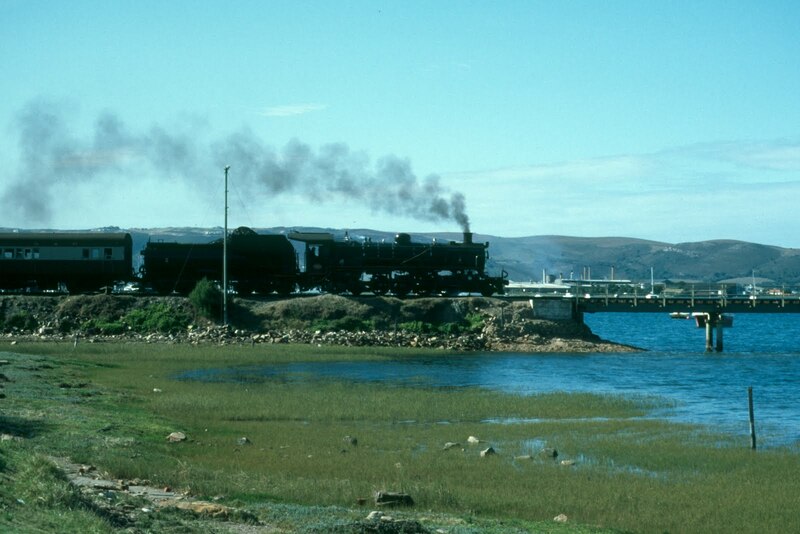 Therefore Africa’s last scheduled steam train will stop operating within the next couple of month unless a new operator for the service will be found. The company already tendered for a new operator as it hoped to privatise the service, but the parastatal could not identify a suitable new operator. The Outeniqua Transport Museum in George will remain open to the public. On Sunday, 5 September 2010, Namibian time changes from winter time (UTC+1) to summer time UTC +2. The time will change officially at 02:00am. The time will not change in the Caprivi, as this area is not subject to summer and winter time changes. The time will change back to winter time on 3 April 2011 (first Sunday in April). The Cacadu District, which was formerly the Western district, covers the rural western areas of the Eastern Cape province. The coastal parts of the district have temperate winter rainfall, with around 500 -700 mm of rain per year. The Tsitsikamma and Baviaans parks lie in the west of the district close to the Western Cape. The interior of the Cacadu District is mainly dry Karoo and grasslands comprised of commercial farms. In spite of the barren interior, the Sundays and Fish Rivers maintain large irrigated farming and these rivers are supplied by water from the Orange River. The only eco-system not found in the Cacadu District is the true desert. The district is one of the finest game viewing areas in South Africa. It is the place where major cultures in South Africa came into contact. 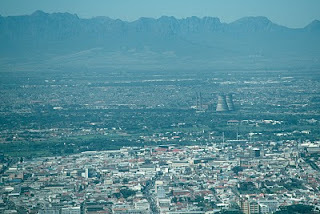 Table Mountain Aerial Cableway's renowned Summer Sunset Special starts on 01 Nov 2010 and runs until 28 Feb 2011. For four months visitors pay half price after 6pm (valid on return tickets only) to travel to the highest sundowner spot in Cape Town. The Cableway operates weather permitting. For information call (021) 424 8181 or visit http://tablemountain.net. UPDATE: From 01 Oct 2010 you can buy your tickets online! In May 2009, a small team of rock climbers departed for Namibia with two goals: to find a way up an unexplored face, and to find a way into a deeper understanding of southern Africa. At the heart of their trip lies the question, can adventure and culture combine to create understanding? This is the 8min short film; it is a preview of a longer film that is available for screenings. Pls see the vimeo page for contact details. Land Rover UK and Biosphere Expeditions have teamed up and are giving away a 2 week trip to Nambia. They are looking for five people to travel to Namibia and work with endangered animals such as cheetahs, leopards and caracal. This is a fantastic opportunity to spend two amazing weeks working alongside scientists in one of the world's most beautiful countries. All you have to do is create a 60 second video that shows how you 'Go Beyond The Everyday'; and submit your entry on their website. The content of the video is fully up to you but we hope it will be fun and show how you're passionate about making a difference, hard working and a team player. The competition is open to all UK residents aged 21 or over. You also need to be able to take two weeks off between 31 October and 17 December 2010. Closing date for entries is 23 September 2010. Important: before entering our competition, please read the terms and conditions. An insane experience of adrenaline and achievement: a 112 metre controlled descent off Cape Town's magnificent Table Mountain. The list is probably missing some stuff. Let us know what you think is missing & we will add it. Have you ever seen something like this? Or even thought that a human could get that close with lions? Well, watch the video below and see how close zoologist and self-taught animal behaviorist Kevin Richardson is getting with "his" pride of lions. 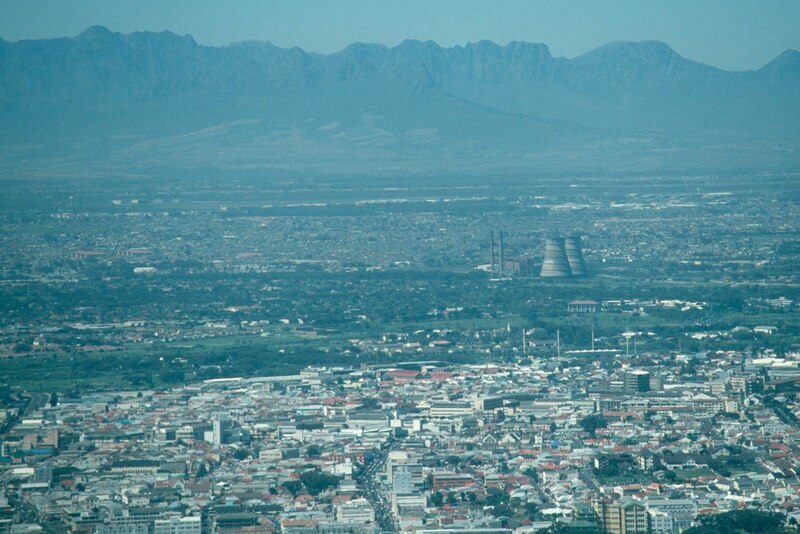 Cape Town's iconic Athlone Cooling Towers, also known as "the two ladies of Athlone", were demolished in just eight seconds on last Sunday (22 Aug 2010). The future of the site is still unclear, but the redevelopment of the site will most likely be completed in about three years. 19 August was declared the "World Humanitarian Day 2010" in 2008 in remembrance of Special Representative of the UN Secretary-General to Iraq Sérgio Vieira de Mello and 21 of his colleagues, who got killed following the bombing of the UN Headquarters in Baghdad on 19 August 2003. The designation of 19 August as World Humanitarian Day is the outcome of the relentless efforts of the Sérgio Vieira de Mello Foundation and its aim dedicated to continue his (del Mello) unfinished mission of encouraging dialogue between communities and relieving the plight of victims of humanitarian crises. The name of Zanzibar's main airport, previously known as Zanzibar International Airport or Kisauni Airport, will be changed to Abeid Karume International Airport in recognition of the first president of the island. The name change was announced during the official opening ceremony of the airport's new extended runway, which now allows larger wide-bodied aircrafts to use the airport. • JHB-CPT-JHB (Premier Classe only). UPDATE (12 Aug 2010): The Shosholoza Meyl train service is going to run a limited long-distance service nationally for around two weeks! People should call the Shosholoza Meyl call centre on 0860-008888 for further information. Due to a financial dispute between the Passenger Rail Agency of South Africa (Prasa) and Transnet, which is running the Shosholoza Meyl long-distance train service, thousands of train passengers were left stranded yesterday (11 Aug 2010). Trains in Gauteng, Eastern Cape, Western Cape, Durban, Musina and Komatiepoort are currently affected. Buses had been arranged as alternative transport to ferry passengers from stations throughout the regions. 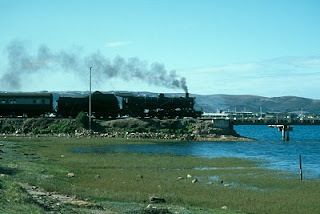 A normal service will operate on the Cape Town-Durban route, though. Stations will continue to make announcements to keep passengers informed of the service disruption and alternative transport arrangements. If you don't have a valid train ticket already, take the bus (Intercape, Greyhound, Translux) or board a plane. According to PRASA spokeswoman Lillian Mofokeng technical and operations teams were working to re-instate a full service in due course. We'll keep you posted! Good old Namibian beer Windhoek Lager landed in the UK earlier this year and to promote the new beer in the land of ale and bitter the brewery is giving away a WEBER Gas BBQ, a £200 Tesco voucher to grab all the essential BBQ meats to cook up your Southern African feast, and, of course, some Windhoek Lager to wash it all down. To enter the competition click here! The promotion closes at 23:59 on Sunday 15 August 2010. The successful applicant will be chosen at random from all entries received. The winner will be notified by telephone on Monday 16 August 2010. It is open to residents of Great Britain only! Good luck! Inspired by a true story, Gangster’s Paradise: Jerusalema is an unflinching look into the crime, corruption and the transgressions of those looking to survive in the most crimeinfested district of Johannesburg. Starting off with simple smash and grabs, and petty crime, Lucky Kunene quickly graduates to more aggressive heists such as armed robbery and carjacking. Soon, Lucky realizes he needs a bigger score to fulfill his goals of making it big, and escaping from the slums, to a dream house by the sea. Kunene hatches an elaborate and violent plan to make his fortune - hijacking buildings from landlords of Johannesburg tenements by winning the favor of the tenants and then holding their rent hostage from the landowners. His highprofile real estate acquisitions attract the attention of the local police force who have no qualms about using unprovoked brutality to bring him down. His trouble with the law, coupled with an escalating war between a local drug lord, creates a tense standoff: both sides are closing in, and Kunene must stay one step ahead - or his empire, and his life, will come crashing down. Gangster’s Paradise: Jerusalema is written and directed by Ralph Ziman, and stars Rapaulana Seiphemo (Tsotsi), Robert Hobbs (District 9), Kenneth Nkosi (District 9), Eugene Khumbanyiwa (District 9), and Louise Saint-Claire (District 9). The film will be out on DVD on the 30 Aug 2010 (UK; GER) and on the 28 Sept 2010 in the US. I couldn't find out the release date for South Africa. Jump to 10min on the timeline (2nd part of Al Jazeera's Fabulous Picture Show) for an interview with Ralph Ziman after a screening in a Johannesburg cinema. Swakopmund's famous landmark, the jetty, was officially reopend on Friday, 30 July 2010. 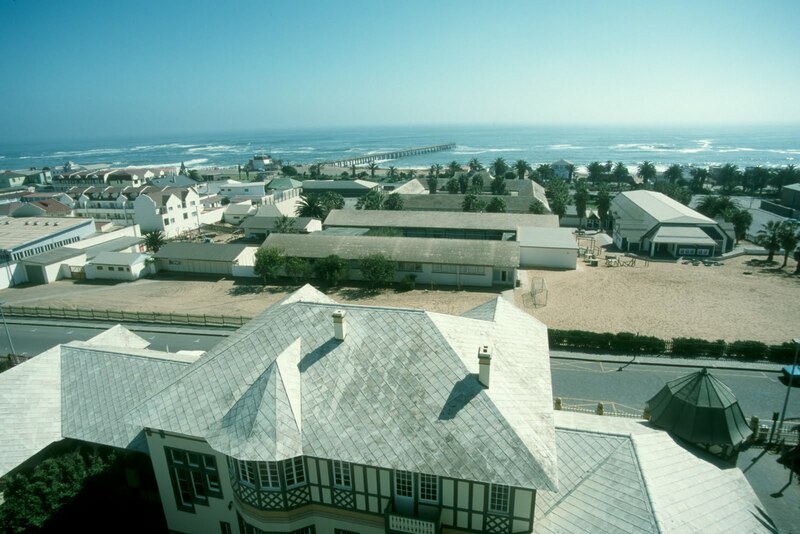 The Swakopmund Municipality closed the jetty already back in 1998 on safety grounds, as it was no longer deemed safe for people to walk on. The "new" jetty has some new additions, such as the southern side for walking and the northern side for fishing, a second deck offering uninterrupted views over the Atlantic Ocean, and an upmarket seafood restaurant and oyster bar at the end of the 300-metre pier. The jetty has toilet facilities and no waste is deposited into the sea. Entrance is free. Lighthouse Group, which developed the "new" jetty and will maintain and manage it, promised the public to provide 24-hour security. Get a behind the scenes view of medicine and observe experts to learn how they work in Kenya. The experience you gain will be an excellent entry on your CV or Résumé. Your placement will be based in the Portreitz District Hospital. The Hospital was established in 1952, as an Infectious Diseases Hospital. It is a poor hospital which caters for a very poor community. The Hospital has up-to-date facilities and a reputation for excellent medical attention. An exciting, never-to-be-forgotten adventure into Africa. Good, practical work experience that will stand you in good stead in your career. You'll learn a lot from experts in your field about how they work in a cultural environment that's different to what you're used to. It is difficult to be specific about the day-to-day work you will do because work is so varied and spread across many areas. The hospital is very busy with a multitude of duties and responsibilities, so you will probably be worked very hard in most areas! Your work may take you into all departments, e.g. surgery, burns unit, ICU, Physiotherapy, X-ray and even the mortuary to name just a few. However, if you're not qualified, you won't be allowed into operating theatres. The type of work you will be allocated will depend to an extent on your own abilities and capabilities, which is understandable given that you will be dealing with patient health and safety. You'll be given basic and general on-the-job training by your supervisor, and further jobs should become available for those with medical experience. Your hours may vary insofar as they will be subject to shift rotas, but your usual hours will be from 9-5 Monday to Friday. However, you may sometimes work evenings or nights, sometimes over weekends, but you will have time off on other days instead. Most of your work will entail assisting the local doctors and nurses with their daily rounds, making medical notes and updating records. You'll also be asked to help with computer entries, as well as helping to clean equipment and various areas within the hospital. Small group adventure travel company Intrepid Travel has been selected as a finalist for the 2010 Innovation Leadership in Sustainable Tourism Award by The International Ecotourism Society (TIES). TIES is the world's oldest and largest international ecotourism association. The organisation seeks to be the global source of knowledge and advocacy uniting communities, conservation, and sustainable travel. The Innovation Leadership in Sustainable Tourism Awards recognizes individuals and organizations who have demonstrated leadership in innovative actions that effectively promote sustainable tourism and bring tangible benefits to communities and conservation. Each year, one individual and one organization (non-profit, business, community) will be honored for their contributions, best practices, and most of all leadership in innovative actions supporting sustainable tourism. Innovation Award applicants are judged based on one example of an innovative project, product, or program developed in the previous year that advocates for uniting communities, conservation, and sustainable travel. 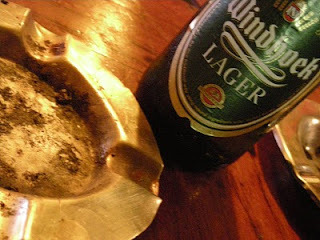 If there is a backpackers at the mighty Victoria Falls everyone knows it is Jollyboys in Livingstone. Just watch the video & you'll immediately understand why. Love the place! I just came across a very good and interesting infosheet answering the question what "Voluntourism" actually is. It also gives a short insight into the "economics of voluntourism". To sum it up the infosheet is defining Voluntourism as follows: "Volutourism is travel which includes volunteering for a charitable cause. In recent years "bite-sized" volunteer vacations have grown in popularity. the different types of volunteer vacations are diverse, from cleaning up local wildlife areas to providing medical aid in a foreign country." UPDATE: SANparks confirmed the date von their website! 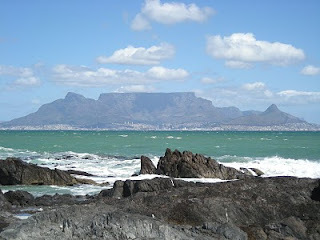 According to Muzi from Travelwires.com the 2010 South Africa National Parks week will be from 13 - 17 September 2010. The official opening will be at Addo Elephant National Park in the Eastern Cape. 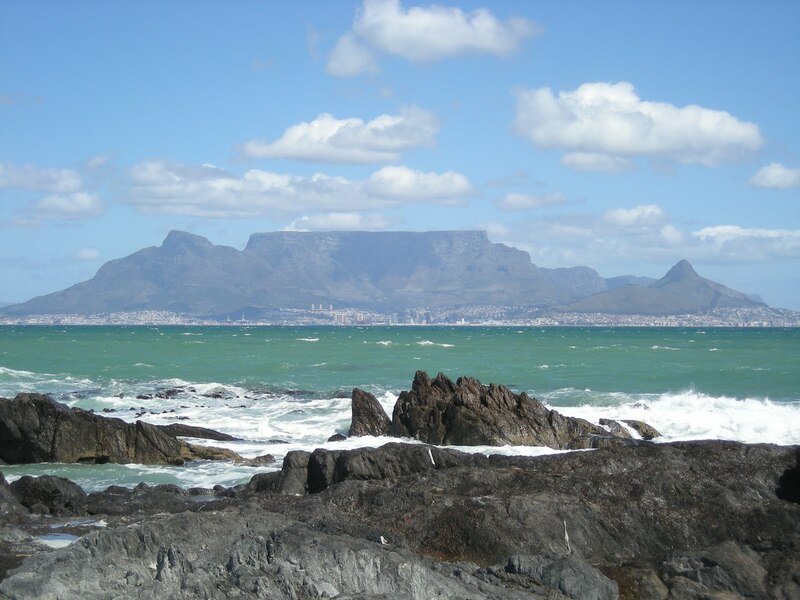 South Africans will have free access to all National Parks in South Africa managed by SANParks, except for Boulders in the Table Mountain National Park. Free access will not include any guided walks, safaris or accommodation and will be granted to all South African day visitors on production of their ID book. The parks throughout the country will be pretty busy during that week, so International travellers should keep it in mind. The UNESCO World Heritage Committee inscribed the Ngorongoro Conservation Area in Tanzania as a cultural property on the World Heritage List (34th session of the Committee, Brazil 07/2010). The Conservation Area got inscribed because of the "extraordinary record of human evolution" at the site. The NCA spans from the well-known Serengeti National Park in the north-west of Tanzania to the eastern arm of the Great Rift Valley. The Ngorongoro Conservation Area, including the Ngorongoro Crater, is already listed as a Natural World Heritage Site since 1978 and is now one of the 27 "mixed" World Heritage Sites. Google Earth, one of the super popular tools to explore the globe from home, got a brand new feature - real time weather! Google's LatLong blog: "The latest version (5.2) projects images of rain and snow over the areas with those weather patterns as it’s actually happening! First enable the clouds layer, then zoom in to a particular location where it might be raining or snowing." Ok, Google Earth' real time weather is probably not as "quick" as on the well-known weather websites, but it is still an interesting add-on when scanning the globe. The Maluti Cave Hiking Trail is located in the Thabo Mofutsanyane District Municipality, in the QwaQwa area of South Africa's Free State province. The trail offers a choice of either two, three or four days of hiking. The trail starts outside the town of Phuthaditjaba and runs through the valleys of the Kgotjwane River and its tributaries, up the Drakensberg escarpment and surrounding foothills. Hiking is possible all year round, with April and May being the best months. Pls visit the trails website for more information.